Two UK LGBT charities have said that growing numbers of young gay people are being forced from their family homes because their parents refuse to accept their sexuality. According to the Albert Kennedy Trust and Stonewall Housing, some young LGBT people are being “beaten out of their homes” while others are being sent abroad in an attempt to cure them of their homosexuality. 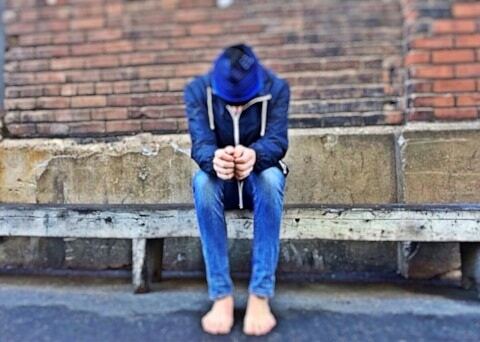 The Albert Kennedy Trust, a LGBT youth homelessness charity, said it has seen a 20 percent increase in the numbers of young LGBT people seeking its help with homelessness since 2012. The charity estimates that 4,800 young LGBT people in the UK are now homeless or living in hostile environments. “LGBT people in this country have seen the benefit of many positive changes to legislation in recent years, and to some it might appear that the big battles have been won. They haven’t been. “At The Albert Kennedy Trust we are seeing increasing numbers of young LGBT people who are homeless or living in hostile conditions. The trust’s findings were echoed by those of Stonewall Housing which receives more than 1,800 calls a year from people of all ages seeking help. In the past year, the charity has recorded a 30 per cent increase in calls from 16 to 25-year-olds. “We have seen a dramatic increase in young people coming to us for help. The majority of people contacting us feel their sexual orientation or gender identity is the reason. “The LGBT community has had recent wins, but we are now seeing a backlash against that from people who aren’t happy with it. “There are a lot of horror stories. I have got about five close, close friends who have been kicked out of the house because of their sexuality. One or two were beaten out of the house. “I know people where their family tried to send them to Africa to ‘fix’ them. “I might be out and proud, but I am not singing it or holding banners – because I know a lot of people only tolerate us because of the legislation. “People will never call me anything to my face in the workplace, because they know they are governed by legislation. That doesn’t change how they truly feel, though. “They won’t say anything in public, but they will at the dinner table, behind closed doors. Watch a report on LGBT youth homelessness in the U.S. below.